Congrats to Kate and Prince William as their family has been added to with a new baby girl! The Duchess of Cambridge Kate Middleton gave birth to a baby girl at St. Mary's Hospital in Paddington around 8.34am this morning UK time. 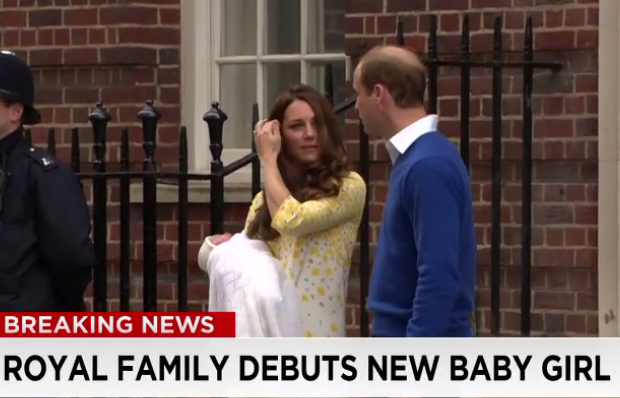 The new royal baby is reported to have weighed in at 8lbs 3oz, and came almost one week late after 3hrs of labor.